RARE OPPORTUNITY ON TODAY'S MARKET ! 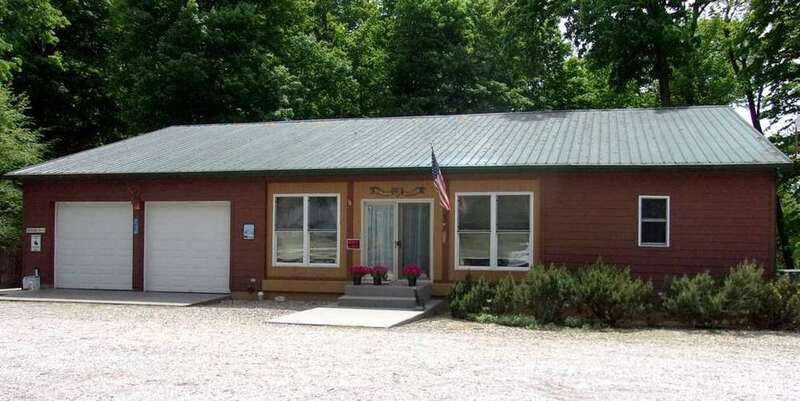 Beautiful ranch Home with woods, pasture & creek. Scenic setting and with a spectacular view of ravines and creek, abounding in wild life. There is fenced pasture and barns and sheds plus automatic double waterers & heaters for horses. Main building has a half bath plus water heater and water softener and heated. There are 2 add ons, 12x24 &15x20. Generator negotable. House is nestled back into the tall trees. An enclosed porch leads to a back deck overlooking a ravine and creek, which can also be viewed from the long window seat in the kitchen. This is a quality built home with 2 porches, 2 decks, a walk out basement to a patio under the back deck. Enclosed 8x23 heated porch is used as an office & not included in sq footage. All this and only 5 min to Covington. ADDITIONAL 20 A Mor L , FOR SALE AT $4500/A, WITH FRONTAGE ON 800W.Home & all 29.6 acres $397,000. Directions:US 136 West of Covington, turn North on 800 W (at Oak Grove Motel), Watch for white board fence on left. Sign. Listing provided courtesy of Warren Agency Covington.